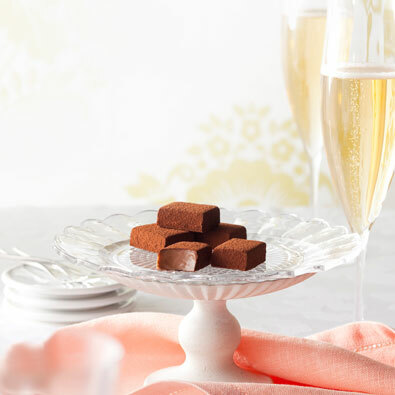 Champagne Pierre Mignon is added to our creamy Nama chocolate to further deepen its flavour. Using only the highest quality ingredients and the best Pierre Mignon champagne, this rich chocolate is truly one that tantalizes and tempts. 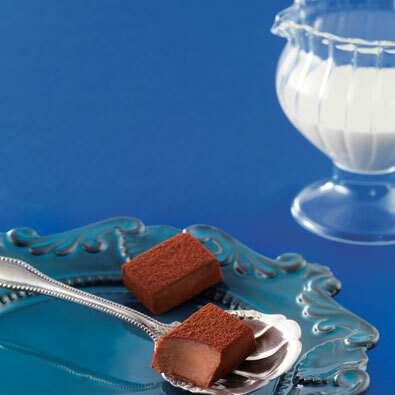 Nama Chocolate Au Lait is a milk chocolate created from fresh Hokkaido cream with a touch of Cherry Marnier liqueur. You’re sure to love this Nama chocolate for its wonderful aroma and full flavour. 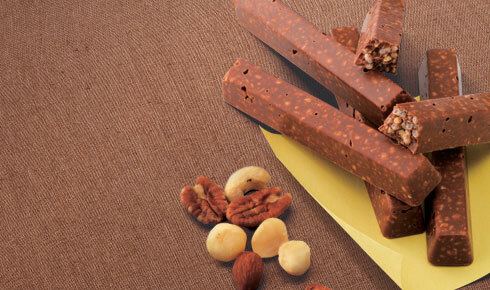 Macadamia nuts, pecans, cashews, almonds and crispy puffs go into these crunchy, finger-sized chocolate bars made for chocolate lovers the world over. 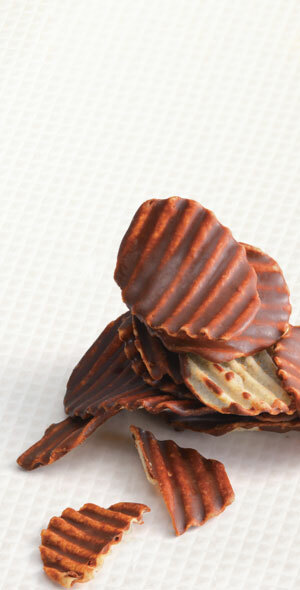 Coat one side of a crispy, slightly salty potato chip with a well-balanced layer of chocolate. This is our unique Potatochip Chocolate. Our original flavour is still everyone’s favourite! Fruit Bar Chocolate combines fruits and chocolate for the fruitiest chocolate bar around. 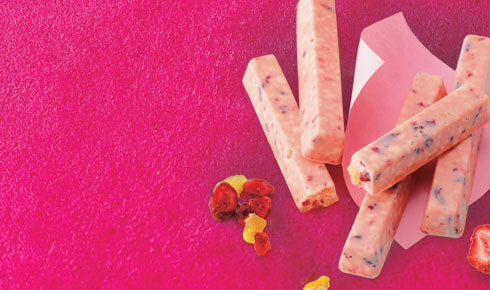 White chocolate is mixed with strawberries, mangoes, cranberries and almond puffs. The unmistakable flavour of bananas is added into the mix to make this a truly pleasurable treat.